Baroque 2000's next concert takes place on October 25 at the Church of the Monastery Mariannhill and features Joanna Marie Frankel as soloist in Vivaldi's violin concerto in D RV212. 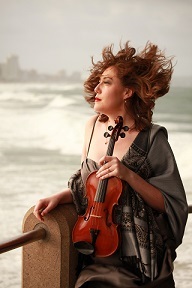 Concertmaster of the KZN Philharmonic Orchestra with whom she has played several concertos, Frankel will be making another solo appearance with Baroque 2000 and the more intimate world of Vivaldi. His concerto is exuberant in character, and demands particular virtuosity, especially in its cadenzas. The programme is another of those also featuring lesser-known but notable works of the era. In this concert the pieces are by Chelleri, Castrucci and Stradella, the originator of the concerto grosso.